To fully understand this reoccurring political theater we must fully understand the American Oligarchy. WSWS cuts to the chase in their recent article ~ THE AMERICAN OLIGARCHY ; " What accounts for this hollowing-out of American politics and the transformation of elections into empty biennial rituals? As with all significant political transformations, these changes are rooted in deeper social processes. One does not have to look all too far to identify them. Over the past several weeks, report after report has been released documenting the extraordinary growth of social inequality in the United States and throughout the world. Late last month, Forbes magazine reported that the 400 richest people in the United States saw their wealth grow 14 percent over the past year. The following week, the Organization for Economic Cooperation and Development reported that global social inequality has eclipsed the pre-Great Depression highs of the 1920s." How can these vast changes in economic relationships not have had a profound and transformative impact on political life? The Supreme Court's 2010 decision in Citizens United v. Federal Election Commission helped unleash unprecedented amounts of outside spending in the 2010 and 2012 election cycles. The case, along with other legal developments, spawned the creation of super PACs, which can accept unlimited contributions from corporate and union treasuries, as well as from individuals; these groups spent more than $600 million in the 2012 election cycle. It also triggered a boom in political activity by tax-exempt "dark money" organizations that don't have to disclose their donors. 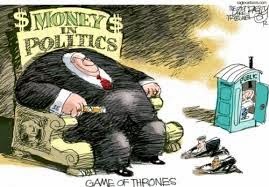 Citizens United, in essence, established corporate personhood where corporations have the same weight as individual voters but with obvious incredible financial clout and leverage. 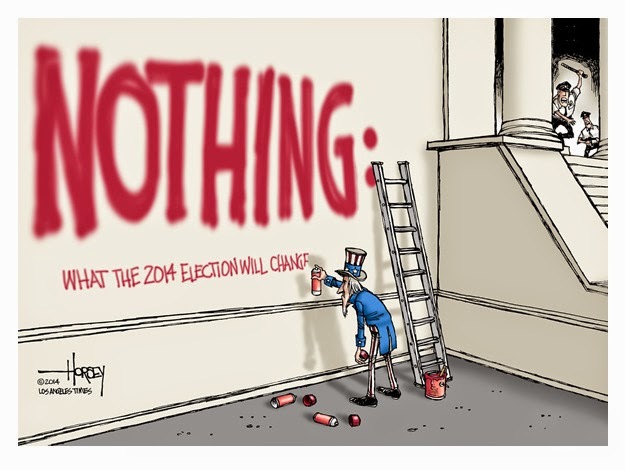 As such, the most important under reported and ignored political event in the United States at the present time is the Move To Amend movement. Move to Amend is a coalition of hundreds of organizations and tens of thousands of individuals committed to social and economic justice, ending corporate rule, and building a vibrant democracy that is genuinely accountable to the people, not corporate interests. It calls for an amendment to the US Constitution to unequivocally state that inalienable rights belong to human beings only, and that money is not a form of protected free speech under the First Amendment and can be regulated in political campaigns. 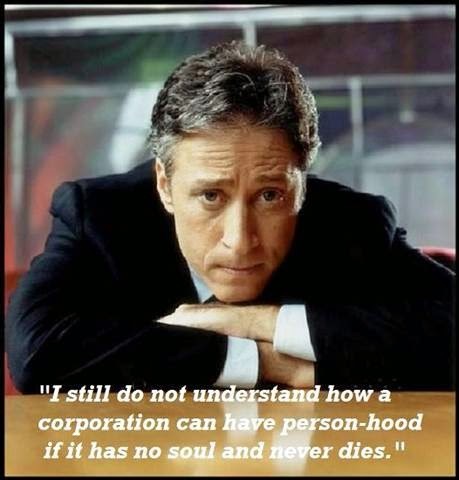 Jon Stewart on Corporate personhood.